The discrimination that widely extends to people of various sexual orientation, the Lesbians, Gays, Bisexual, Transgender, and Queer/Questioning (LGBTQ) largely contributes to the increasing incidence of alcoholism and drug abuse. people who identify with the LGBT community endure various forms of pressure and abuse leading to an increased indulgence in suppressive mechanisms such as drinking and drugs. There are more drugs and alcohol addicts today, mostly within the LGBT spectrum. The age-old problem of finding a dedicated LGBT alcohol rehab that is completely free of discrimination and prejudice is slowly becoming suppressed by an increase in social enlightenment and tolerance. What is LGBTQ-friendly alcohol rehab? How does minority stress affect alcoholism treatment? Why does the LGBTQ population need a different approach to alcoholism treatment? What are the treatment barriers LGBTQ population may face? What is treatment in LGBTQ rehab like? How to choose the LGBTQ-friendly alcohol rehab? People who identify with the LGBTQ community and are either cis-gendered or heterosexual have continually reported a high level of verbal and physical discrimination, often subtle or pronounced while seeking medical help, leading to a feeling of rejection, loneliness, or poor self-esteem. This is even more so for the transgender community. An LGBTQ alcoholism rehab is a medical facility for addiction that deeply understands the unique needs of the everyday sexually diverse minority and effectively implements LGBTQ focused treatment and rehabilitation to foster physical, mental and psychological healing from addiction. LGBTQ alcohol rehab centers differ from other forms of rehab in so many ways. The specialized facility provides an unbiased environment, free of judgment and sexual discrimination, and an inclusive therapy/treatment program that is peculiar to sexual orientation. 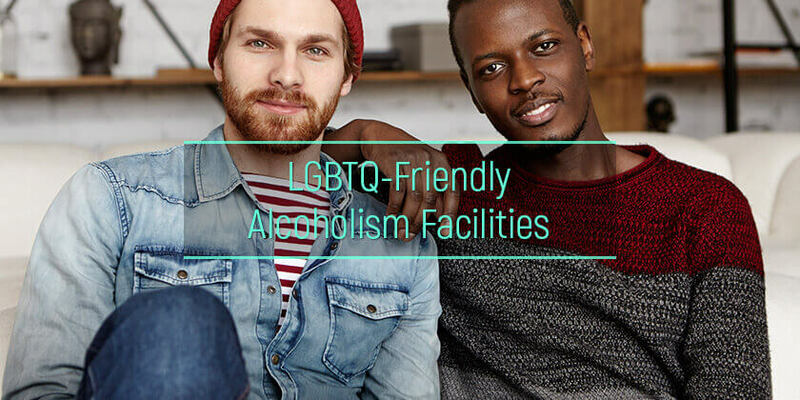 There are various types of alcohol rehab for LGBT ranging from gay, lesbian, bisexual, to transgender; all recognizing the need for an identity specific treatment and a safe space to encourage self-expression and relieve psychological strain. Minority stress is a societal challenge that leads to the use of hard drugs and binge drinking in order to control anxiety. It is still legal for a person to lose their job over their sexual orientation or be denied employment in 29 states in America and many regions around the world. Workplace harassment, housing discrimination, as well as religious discriminations contribute to systematic stress which disallows people of other sexual orientation to freely express themselves for fear of being attacked verbally or physically. This gives birth to escape mechanisms such as drug and alcohol abuse, even suicide in extreme cases. Lesbians, gays and other sexual differential find solace in restaurants and bars where they can commune with like minds and same sexual preferences; this often results in binge drinking and addiction. Empathy and social awareness of the conditions faced by these individuals are critical for recovery in an LGBT drug and alcohol rehab. The trauma of unacceptance and being ridiculed in public places puts individuals who are on the LGBT spectrum at risk of taking up habits such as drugs and alcohol. Recently there have been up-springs of various LGBT alcoholism rehab in many states in the US. These facilities provide intensive outpatient alcohol treatment as well as inpatient programs. LGBTQ drug and alcohol treatment programs offer a non-discriminating path to recovery. Understanding the intricacies and social dilemma of the LGBTQ community is what drives a successful LGBT alcoholism treatment. 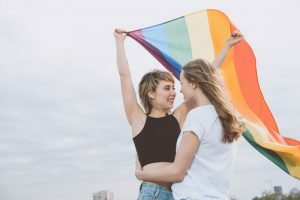 Many rehab facilities have claims of an effective LGBT alcohol treatment scheme with experts that understand the LGBT ecosystem and are able to provide support mechanisms, however, the methodology of treatment may differ across the LGBTQ spectrum. What works for a teen alcohol rehab will naturally differ from that of adults, however, in the case of different sexual orientations in the same spectrum, there are significant differences that must be taken into cognizance. A gay rehabilitation center may teach patients to handle workplace discrimination or family rejection while a lesbian rehab may be focused on handling the one-parent stigma as one of the females may have to carry the baby before birth. The transgender may require an LGBTQ alcohol treatment that provides support on the trauma of misgendering as well as how to balance hormonal treatment. The bisexual, on the other hand, has to deal with isolation from both the gay and the heterosexual community. The integration of these factors in the addiction healing process would make for a most effective LGBTQ alcoholism treatment. Residential alcohol treatment centers are essential for critical addiction phases and long-term holistic detox and rejuvenation. The variation of human sexuality comes with challenges from every aspect of social engagement that disallows self-expression and this puts a strain on personality. Members of the LGBTQ spectrum that is unable to cope with the pressure devise means of dealing with the hate by turning to alcohol, tobacco, and drugs. A barrier to complete addiction healing also includes discrimination from caregivers. This is why LGBT treatment programs alcohol and drugs were instituted to create a safe haven for people that identify with these sexual orientations. Most lesbian, gay, bisexual and transgender people with addictions may not be so keen on opting for the conventional free drug and alcohol rehab centers in order to get treatment due to possible discrimination and the need for a treatment plan that caters specifically to their unique needs. Treatment for alcohol abusers in various facilities has peer groups where co-recovering patients can share experiences and find solace in group support. This may be difficult in facilities with mixed sexual orientations. Treatment barriers may include homophobia, discrimination, ostracization, non-acceptance, and all forms of prejudice. Being paired as resident mates, people who are cis-gendered may place a burden on transgendered individuals. An identity crisis and self-doubt can prolong the healing process. A standard LGBTQ alcohol rehab must address these issues sensitively in order to get to maximum results. The common question people often ask is “what makes LGBTQ rehabs any different from regular rehabs?” there is a myriad of challenges associated with discrimination and prejudice in other regular rehabs, however, medical professionals in LGBT rehabs are well trained to administer treatment and spearhead healing programs that are peculiar to a particular LGBT community as well as collectively with compassion and a clear understanding of the societal pressure faced by these minorities. Treatment curriculum and facility equipment. The treatment plan should cover co-occurring mental health, alcohol detox side effects, alcohol tremors, and behavioral therapies in a state-of-the-art facility, equipped to provide standard services. Staffs experience and exposure to dealing with various sexual orientations. Patients that feel alienated and detached from friends and family require skillful staff who have the experience and can provide counseling as well as quality health care services to those in need. Success rate and positive feedbacks. Every facility has ratings, reviews, and records that show their competency and success rate as well as feedbacks from former patients. These could be helpful in deciding if this facility is good enough. Distance and location. Sometimes there are great options that are nearby and one wouldn’t need to travel very far to find a suitable LGBT rehab. Affordability. Costs may vary from one facility to the other, however, some facilities accept insurance plans, some may offer free treatment if funded by the state government or other humanitarian groups, while some may have subsidized rates for low-income earners. Sliding scale payments can also be applied for if eligible. Aftercare services. Most facilities will provide aftercare services to different capacities depending on the needs of the patient. these services would ensure proper reintegration and to make sure that there is no relapse. There are many rehabs for alcoholics today offering inclusive LGBT treatment programs for alcoholism and drug abuse. If you or your loved one identifies with the LGBT community and would like to benefit from this service, do not hesitate to ask for help.